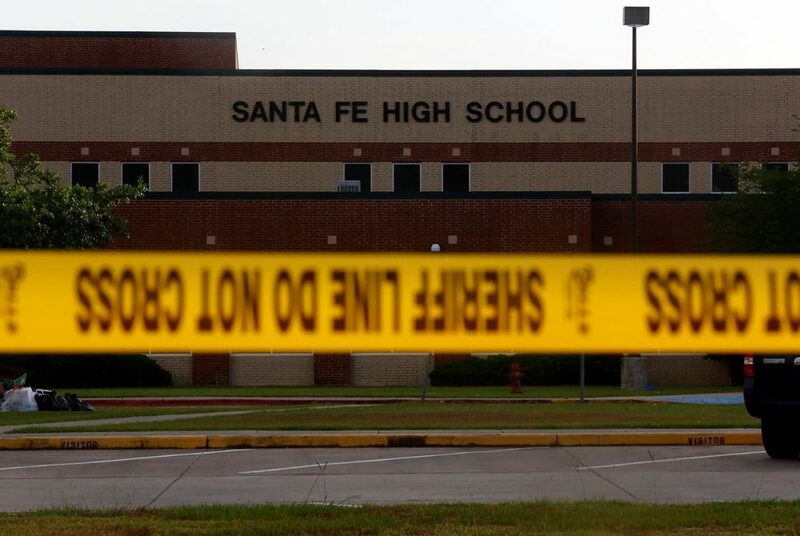 Police tape in front of Santa Fe High School in Santa Fe, Texas on May 20, 2018. Substitute teacher Flo Rice was watching over a gym class at Santa Fe High School on May 18 when a fire alarm sounded. 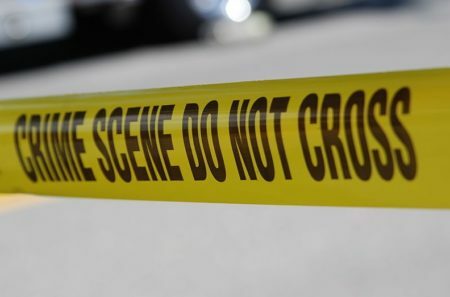 The Galveston County Daily News reports she walked from the gym into a hallway near an art classroom and into a killing zone. Rice was shot in both legs. Her left femur was broken. She managed to get outside the school building, where police were exchanging fire with a gunman who ultimately would kill 10 people and wound 13 before being apprehended. She pretended to be dead until a police officer grabbed her and carried her to her husband, Scot, who had rushed from their home in his Ford Mustang after Flo had told him she was shot. They sped to a University of Texas Medical Branch hospital in League City. Nearly three months after the shooting, Flo Rice is back home. Her recovery has been a blur, she said. She’s gone from the hospital, to a rehabilitation facility, to a hotel where she had to stay while her home was renovated to accommodate a downstairs bathroom. She goes to physical therapy, and to a counselor who’s trying to help her with post-traumatic stress disorder. She has trouble sleeping at night and gets edgy in crowds. She has come to think the school district fell short in preparing her and the other substitute teachers to respond to the shooting, she said. And she worries some of the survivors have been living in isolation and without support in the weeks since the horrific event. Rice has stayed mostly quiet since the shooting, worried that voicing her concerns would be inappropriate while families grieved lost children, mothers or wives. But Rice last month spoke up. 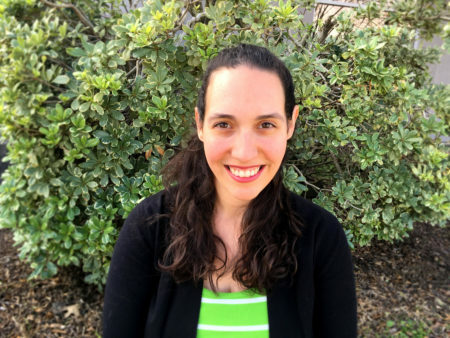 She stood during a Santa Fe school board meeting and called on the district to better train and equip substitute teachers to respond to emergencies. Phones inside school classrooms didn’t work, and the subs had no keys to lock doors, she said. She didn’t remember ever being trained for how to deal with a shooting, she said. At her home Friday, Rice said she broke her silence because she thought her concerns were important — and because she thought people like her, victims who were injured and survived the shooting, have not found their voices yet. The safety of substitute teachers was at the top of her mind, she said. She had subbed at Santa Fe High School for four years before the shooting. She had started to be closer to her daughters, who attend the school, she said. It wasn’t unusual on a given day for substitute teachers to be in every room along whole hallways while the faculty of an entire department was gone for training, she said. That posed a safety problem, she said. She thought substitutes should receive the same training that school teachers go through, she said. 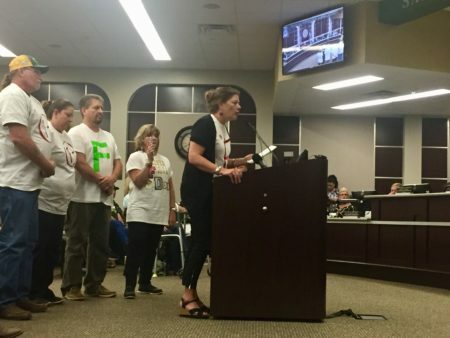 “There’s issues that need to be addressed that have not been addressed,” she said of the actions taken so far by the Santa Fe school district. The district has approved renovations to Santa Fe High School to install classroom doors that can be locked from the inside, and to install a new panic-alarm-type system that makes clear the difference between a fire alarm and an active shooter. The district announced July 17 that all teachers and substitute teachers will have to complete active shooter training. Ten people died inside Santa Fe High School on May 18. Two of the victims, Ann Perkins and Cynthia Tisdale, were substitute teachers. Another 13 people were injured in the shooting. Authorities have not released all of the names of all of the injured, and some have gone publicly unidentified since the shooting. The victims are known to each other, however, said Scot Rice, Flo’s husband. As time passes, and challenges mount for the survivors, they’ve reached out to each other on social media to share information, advice and support. But some of the victims and their parents don’t use social media, and he worried those families were increasingly becoming disconnected from the services available to them. People might not realize the extent of the injuries some of the 13 victims suffered, she said. Life has not been normal since the shooting, Scot Rice said. Nearly every day has seemed to be occupied by something relating to the shooting, he said. If it’s not an appointment to help Flo recover, it’s a fundraiser or support group for victims, or a meeting with policymakers or activist groups. The constant events make Flo feel like she’s reliving the shooting over again, she said. But she feels a need to support everyone, she said. Recently, the couple has been trying to deal with the school district’s workers compensation insurer. Some of the shine has been taken off the promises made by elected officials who visited her in her hospital room after the shooting, she said. Others have showered the Rices with generosity, Scot Rice said. A contractor delayed other work repairing Hurricane Harvey damaged homes to redo their home, he said. Sympathy cards come by the dozens, along with gifts of quilts and stuffed animals. Donated money came in, too, from people and groups that have not publicized their actions, Scot Rice said. “We feel the prayers and we feel the love people send,” he said.